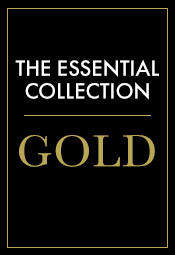 Totalling over 280 hours of music and featuring 750 performers, this supremely authoritative 222-disc collection includes seven world premiere recordings and ten hours of new recordings as well as benchmark performances from musicians including Masaaki Suzuki, Christopher Hogwood, Alfred Brendel, Marie-Claire Alain, Pablo Casals, Wanda Landowska, Arthur Grumiaux and Zuzana Růžičková. The definitive Bach edition. The fruit of years of painstaking scholarship, this 200-CD set presents every single work by Mozart right up to a new song discovered in 2015, with performances by 600 world-class soloists and 60 orchestras. In addition to all of Mozart’s completed works, all the recorded fragments are brought together, including many works completed by others as well as his arrangements of Handel and Bach. The most complete, authoritative and scholarly Mozart edition ever released. Deutsche Grammophon mark Leonard Bernstein's hundredth birthday with this 26-CD box of his complete works – many of them conducted by the composer himself or by his protégés, including Michael Tilson Thomas and Marin Alsop. The set includes numerous recordings made especially for the occasion, including a survey of his piano music from Katie Mahan. This 33-disc set includes performances by the composer himself, as well as several world premiere recordings such as the fragments from the unfinished Poe opera La Chute de la maison Usher and his own piano reductions of Khamma and Jeux; it was described in The Guardian as 'a scrupulously assembled and documented collection'. A 16-disc collection including the Leçons de Ténèbres with Sophie Daneman and Patricia Petibon, the complete keyboard music in a newly-released recording from veteran French harpsichordist Laurence Boulay, and remastered historical performances from Dietrich Fischer-Dieskau, Lynn Harrell, Pinchas Zukerman and Georges Cziffra. To celebrate the 200th anniversary of Gounod’s birth earlier in 2018, Warner mine the archives for vintage recordings of Faust (a complete version with Plácido Domingo, Mirella Freni and Nicolai Ghiaurov, plus highlights in German with Nicolai Gedda, Edda Moser and Kurt Moll), Mireille and Roméo et Juliette, the two symphonies, Mors et Vita, the Messe solennelle de Sainte Cécile and more. A comprehensive survey of the idiosyncratic pianist-composer’s keyboard output and chamber music, including the mammoth Grande Sonata (also known as ‘Les quatre âges’) and the complete studies Opp. 35 and 39 plus the operatic variations and a selection of organ works. The budget price set also includes an excellent contextual essay. If you fancy exploring the music of a different member of the Bach family, this 14-CD set of recordings made between 1994 and 2017 is now the most comprehensive anthology of WF Bach’s works on the market, and contains his complete keyboard concertos, complete solo works for organ and keyboard, a substantial collection of his cantatas, and various sinfonias and orchestral suites. Also includes numerous works which were previously misattributed to other composers, and several world premiere recordings. Internationally recognised as the foremost Berlioz interpreter of his time, Sir Colin Davis's recordings with the London Symphony Orchestra stand as some of the greatest accounts of the composer's work ever recorded. Released in advance of the 150th anniversary of Berlioz's death in 2019, this 16-disc set brings together all of Davis's iconic recordings for LSO Live from orchestral and choral works to his landmark opera recordings. A 20-CD survey of Hummel’s output across all genres, including the opera Mathilde von Guise, the Missa Solemnis and Te Deum, seven discs of chamber music, and the concertos for piano, violin, mandolin, bassoon and trumpet. The set also includes the complete piano sonatas from Costantino Mastroprimiano, recorded on fortepiano for the first time. The first complete collection of Paganini’s works, this 40-CD set makes use of numerous manuscripts which were fiercely guarded by a private collector until 1970 and which supersede earlier published editions; the set includes recordings of the complete caprices from both Leonidas Kavakos and Ruggiero Ricci, and vintage recordings of the concertos from Yehudi Menuhin, Fritz Kreisler, Arthur Grumiaux and Zino Francescatti. Despite the title, this 12-CD box includes a comprehensive selection of Reger’s compositions for solo voices/chorus and orchestra (such as the Requiem, Psalm 100, Die Weihe der Nacht and Gesang der Verklärten) as well as the Variations and Fugues on Mozart, Hiller and Beethoven, Eine romantische Suite, Symphonic Prologue to a Tragedy, the Sinfonietta, and the violin and piano concertos. Adès is feted across the world as the musician who has done more than any other living composer to connect contemporary music with wider audiences. But this celebrated composer, conductor and pianist is notoriously secretive about his creative process; in these provocative and challenging interviews he opens up for the first time about how he creates his music, where it comes from and what it means. This edition, published in September 2018, is updated with a foreword on Adès's opera, The Exterminating Angel. A newly released landmark biography of the Polish composer by one of the world's leading authorities on Chopin and his time. Based on ten years of research and a vast cache of primary sources located in archives across the globe, this monumental biography sets out to dispel the many myths and legends that continue to surround Chopin. Comprehensive and engaging, and written in highly readable prose, Walker illuminates Chopin and his music with unprecedented clarity bringing this beloved composer to life. Handel in London tells the story of a young German composer who, in 1712, follows his princely master to London and would remain there for the rest of his life. At the heart of musical activity in London for the next four decades, Handel composed masterpiece after masterpiece for the city. Conductor Jane Glover draws on her profound understanding of music to tell the story of some of the most remarkable music ever written, music that has been played and sung, and loved, in this country - and throughout the world - for three hundred years. Published in September this year, Schumann: The Faces and the Masks is a groundbreaking account of a major composer whose life and works have been the subject of intense controversy ever since his attempted suicide and early death in an insane asylum. Drawing on hitherto unpublished archive material, Chernaik sheds new light on Schumann's life and music, and the ways in which the crises of his life, his dreams and fantasies, entered his music. Using her wide experience as a scholar of Romanticism and a novelist, Chernaik vividly brings Schumann's world and his extraordinary artistic achievement to life in all its rich complexity. 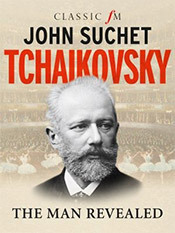 The latest addition to John Suchet's popular series of books delves into the life of Tchaikovsky, a composer whose life has long been mythologised and misunderstood. Suchet draws back the curtain to show us the man behind the music, examining the complex and contradictory character of this great artist. 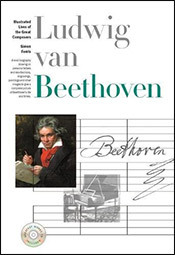 Other volumes in the series offer similarly fascinating explorations of the lives of Beethoven, Mozart and Verdi. 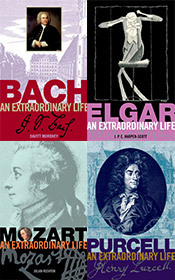 The Extraordinary Life series includes biographies of Bach, Beethoven, Britten, Elgar, Mozart and Purcell. Each book has been researched and written by leading specialists, providing revealing accounts of the lives of these extraordinary composers. The collection dispels myths, provides a social setting for their respective work, and produces a human portrait of each composer. Fascinating and readable histories. Cambridge Companions to Music provide clear and accessible information on composers, instruments or musical topics, written with the student, the performer and the music lover in mind. Each volume provides a carefully structured series of specially-commissioned essays by leading authorities offering comprehensive coverage and indispensable reference material, as well as absorbing reading matter. The series covers a huge range of topics, from classical composers, to musical forms and popular music artists and genres. Cambridge Music Handbooks provide an accessible introduction to the major musical works. Written by the most informed commentators in the field, the books present essential information on the historical and musical context, the composition and the performance and reception history of each work, as well as a critical discussion of the music. Ideal for the listener, performer or student alike. The Illustrated Lives series combines vivid biography with fascinating illustrations, photographs and paintings to explore the lives and works of some of the world's greatest composers. The comprehensive and authoritative texts discuss the composers' major works and put them into the context of the contemporary world. Each volume includes a CD featuring a selection of recordings of works by the composer, and the series includes books on Bach, Beethoven, Chopin, Debussy, Liszt, Mahler and Mozart. Harold Schonberg traces the consecutive line of composers from Monteverdi to the tonalists of the 1990s, through a series of fascinating biographical chapters. All the major figures are included, and their lives are woven into a fabric rich in detail and anecdote. An object of delight to all music lovers! Michael Steen's The Lives and Times of the Great Composers is an authoritative and hugely detailed work that has become 'the' reference point and key read on the biographical backgrounds to classical music's biggest names. Explore the story of Bach, the respectable burgher much of whose vast output was composed amidst petty turf disputes in Lutheran Leipzig; or the ugly, argumentative Beethoven in French-occupied Vienna, obsessed by his laundry; or Mozart, the over-exploited infant prodigy whose untimely death was shrouded in rumour...and much, much more. 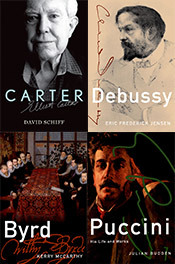 Oxford University Press's Master Musicians series continues to amaze and captivate readers with detailed insight into the lives and work of music's geniuses. This series explores the personal history of each composer, and the social context surrounding their music, combining a vivid portrait of their inspirations, influences and experiences with an accessible discussion of their work. Further reference material includes a detailed life and times chronology, a complete list of works and a select bibliography. A series to delight all music lovers! From Bach to Messiaen, and Haydn to Webern, Cambridge University Press's Musical Lives series offers a glimpse into the lives of composers from the seventeenth to the twentieth century. 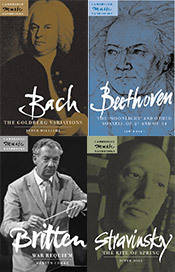 Written by leading scholars and distinguished biographers, each volume in this highly acclaimed series presents an organic view of the composer, their music and the circumstances in which the music was written. Unlocking the Masters guides the listener through the works of some of the greatest classical composers. Each volume is dedicated to a specific genre of music by a particular composer, from Bach's choral works to Mahler's symphonies and Monteverdi's music dramas to Bernstein's orchestral music. 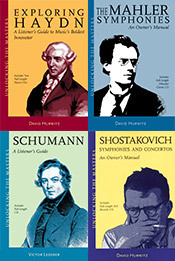 The insightful texts introduce readers to aspects of each composer's distinct style, whilst the accompanying CDs include recordings of the works mentioned and further illustrate elements of their musical language. After years of intensive research, Breitkopf's edition of the complete organ works of Johann Sebastian Bach has finally been completed and have been brought together in this complete set. These new publications reflect more recent scholarly research, as well as aspects of historically-informed performance practice and each volume contains an introduction and comments evaluating the sources. Furthermore, Breitkopf take into account the needs of performers, giving thought to more practical matters such as convenient page turns and an easily legible layout. The complete sacred vocal works of Johann Sebastian Bach are contained in this edition. 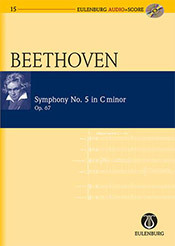 Consisting of 23 volumes in three slip case boxes, the editions are presented in a reader-friendly format suitable for conducting. Alongside Carus Verlag's high quality editions and presentation, each volume is structured in a user-friendly format; a beautiful addition to any Bach library. This set brings together Jonathan Del Mar's renowned editions of Beethoven's symphonies, published by Bärenreiter, in nine study score volumes. Praised by academics and conductors alike, these scholarly-critical editions correct numerous errors that crept into the first edition, and provide new insights into the workings of these extraordinary symphonies. 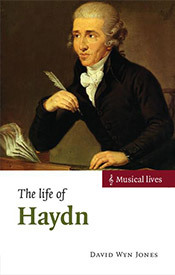 Doblinger's Haydn edition is carefully edited by renowned Haydn specialists Reginald Barrett-Ayres and HC Robbins Landon. This specially priced box-set collection of Haydn's complete string quartets contains 13 study score volumes in Doblinger's new critical edition. This box set from Bärenreiter compiles scholarly-critical editions of all Mozart's 41 symphonies, into 4 compact study score volumes. It presents the Urtext of the New Mozart Edition, and each volume contains introductions to the symphonies discussing each work's dating, orchestration, sources and performance history in German and English. An appendix contains two spurious works attributed to Mozart. This wide-ranging series of sheet music for piano brings together both original works for the instrument and arrangements of other famous compositions by some of the most popular composers. 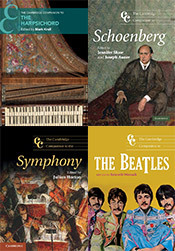 The series includes volumes dedicated to individual composers from Bach to Gershwin, via Beethoven, Chopin and Strauss, alongside collections of popular works from opera, film, and ballet. Eulenburg Audio+ Scores series offers a treasury of the most famous orchestral works of the Baroque, Classical and Romantic repertoire. Each volume consists of a clearly-presented and authoritative study score, and informative preface with details about the background to the composition and a CD recording of the full work - helping you to get to know these popular works in greater detail.